Herman “Uncle Herm” Hayes, James “Dilla” Yancey‘s uncle, knows how to move forward without slipping into amnesia. We are honored to be a small part of his entrepreneurial efforts at Dilla’s Delights to create possibilities for his nephew’s daughters by lending him our Paradise Valley model from the Graystone International Jazz Museum Collection. The model was originally built by Lawrence Tech University students in the 1994. (We are so happy to report that a more recent LTU student cleaned it up and got it ready for display.) Stay tuned for more programming around this testament to urban density and culture. 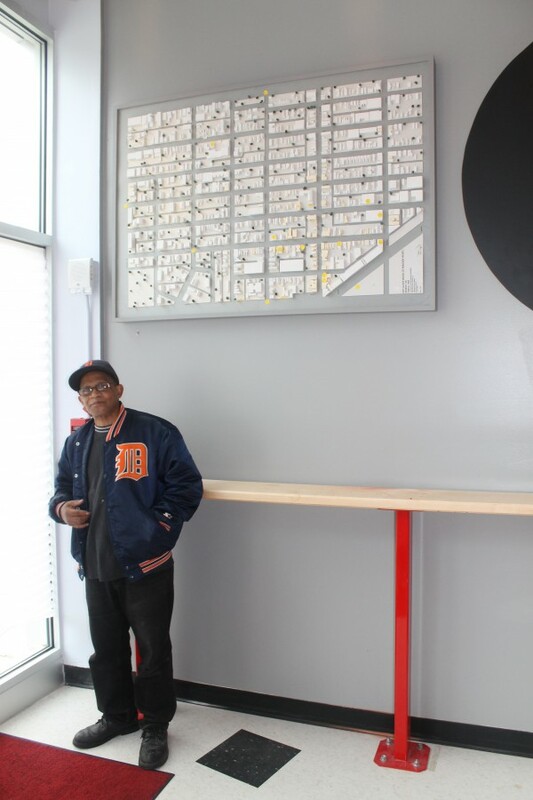 In the meantime, you can keep up with Uncle Herm’s ongoing efforts here and visit the shop at 242 John R. in downtown Detroit.